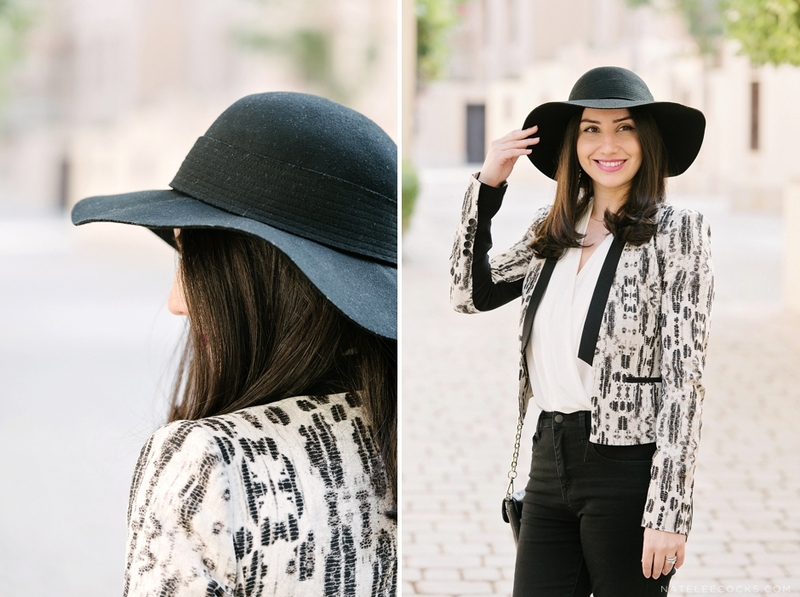 PRINTED BLAZER by THE BLUSH DIARIES – Remember Ranja from THE BLUSH DAIRIES VALENTINES photo session? Well you’ll be seeing a lot more of her here. 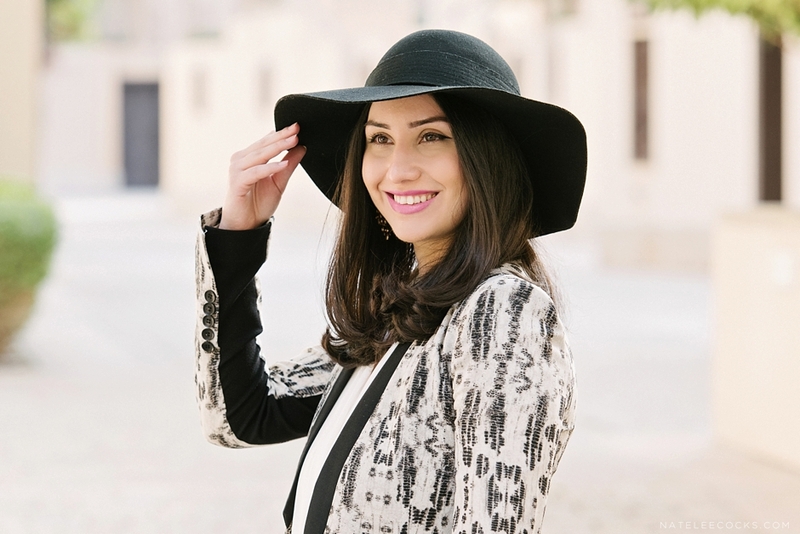 We will be working closely together, as she gives you the tips of her trade on her Style & Beauty Blog, THE BLUSH DIARIES… Two thousand and sixteen will be the year of collaborating with some extremely creative and talented people around the UAE! 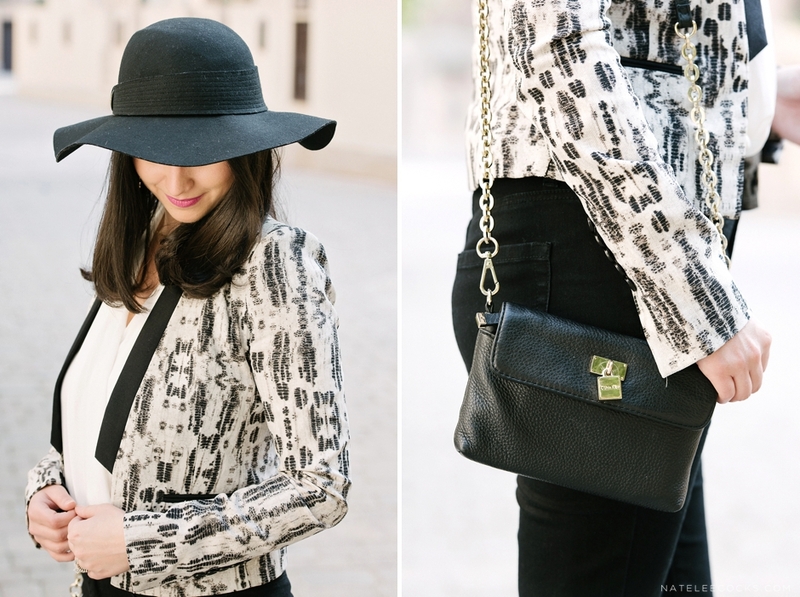 Ranja – I pulled out this PRINTED BLAZER recently since I haven’t worn one in a while, and I pretty much fell in love with it all over again. I’m always trying to make it a point to try on new colours and add variety to my wardrobe, but there’s something about a black/neutral combo that gets me every time. 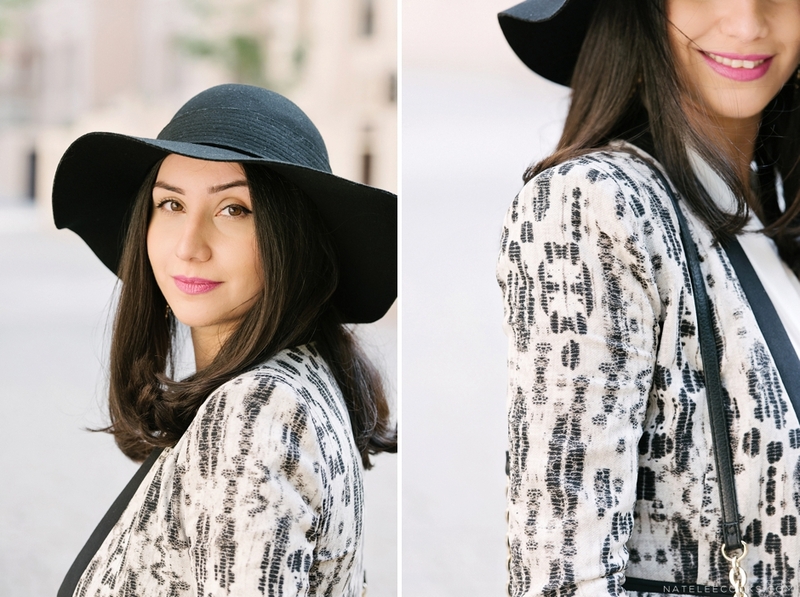 I kept everything else simple and monochromatic so the printed blazer would stand out, and I couldn’t resist a floppy hat and cosy flat boots. Since I needed a pop of colour I opted for a bright lip in my favourite shade of pink.